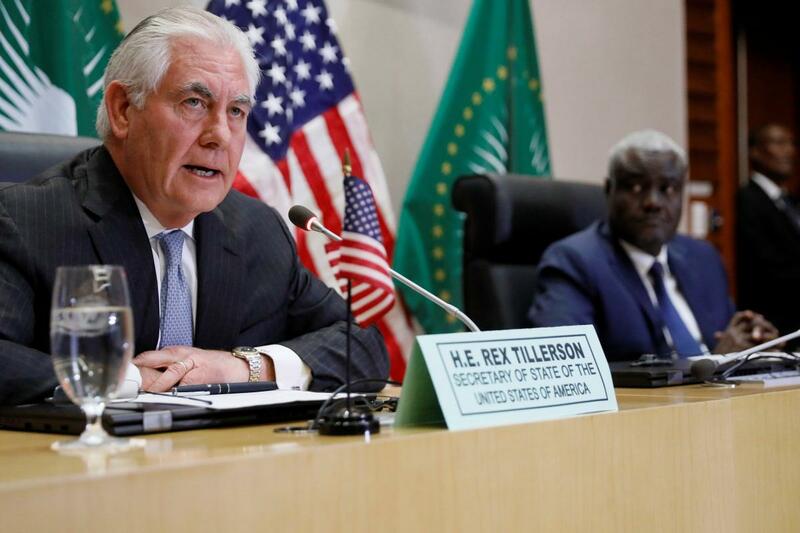 Tillerson said Chinese investments “do not bring significant job creation locally” and criticized how Beijing structures loans to African government. If a government accepts a Chinese loan and “gets into trouble”, he said, it can “lose control of its own infrastructure or its own resources through default.” He did not give examples. Russian Foreign Minister Sergei Lavrov, visiting Zimbabwe on Thursday, told reporters it was inappropriate for Tillerson to criticize China’s relationship with African countries. “It was not appropriate to criticize the relations of his hosts — when he was a guest there — with another country,” he said. Understand that the Americans they want to control the entire continent, they came up with many strategies but failed. The master plan about African Command (FRICOM) that was introduced by President George W. Bush in early 2007 to militarized the whole continent so that Africans may used as mercenaries to fight the proxy wars. Thanks to people who like peace and gave early warning to African leaders about the deception of US-AFRICOM. Almost 99% African states rejected such order to host US military bases in their territories. Now United States has crafted another order known as the Countering America's Adversaries Through Sanctions Act (CAATSA), a kind of economical measure that will compel all developing countries in the world especially African nations to abide to the new monopolies of US that command them what should they have, consume,produce or buy. Tate a note that the new hidden agenda under the Department of Treasury was signed officially on 02 August 2017 and the main objective is to thwart the competitive markets from fiery adversaries like North Korea,Iran, Russia, Cuba,China and others. Under this new international law your country will be threatened from using Russian made products especially military equipment like AK-47s and other military gears example Chengdu F-7 military aircraft that owned by most African Airforce made from China. Under CAATSA your country is required to allied to NATO's materials or otherwise suffer from supporting United States' adversaries.